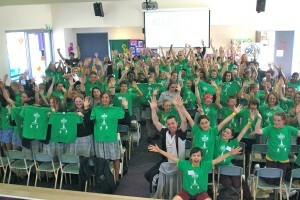 The Big Green Schools environment collective launched in March 2012, when 130 students and teachers from twenty schools, attended the first Big Green Schools Conference at Carrum Primary School. Since then, hundreds of students and teacher have explored, shared and developed Big Green Ideas for their school and local community at the annual Big Green Schools Conference. The Big Green Schools Conference is coordinated by a coalition of schools, Carrum PS & St.Louis De Montfort’s PS, and the City of Kingston.